Este documental, más que tener un tema preciso, gira alrededor de lo que es su tema: vivir en la Habana, en una especie de espera. Siete personajes se expresan y entre ellos se complementan y se contradicen. Algunos tienen la expectativa y el deseo de que todo permanezca igual, otros esperan que algo cambie. Los personajes de un modo u otro están todos relacionados al Malecón de la Habana, donde la ciudad se abre hacia el horizonte del mar. El documental se filmó entre el 2006 y el 2008. 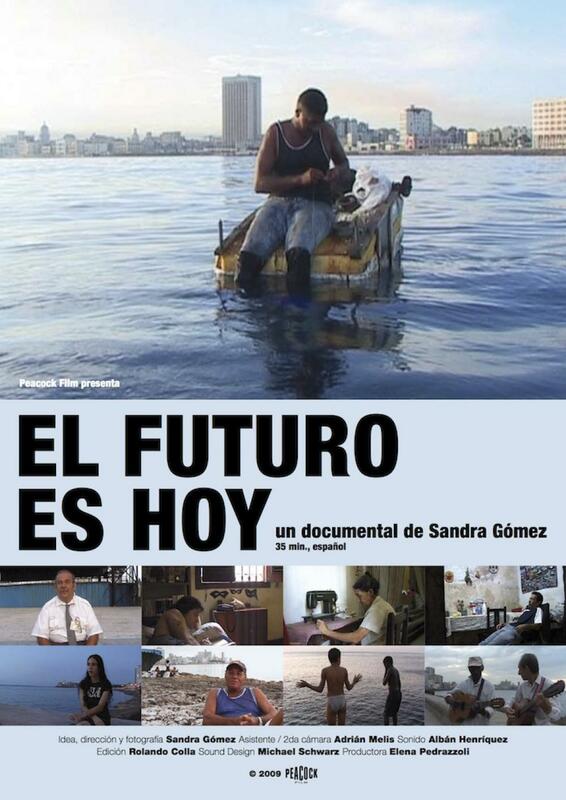 THE FUTURE IS NOW This documentary is less about a specific topic, but revolves around a central theme: life in Havana, suspended in a state of waiting. Seven characters express their complementary yet contradictory ideas. Some would like things to carry on as they are, while others hope for change. In one form or another, the characters are all associated with the Malecòn, Havana's sea wall, where the city opens out to the horizon. The documentary was filmed between 2006 and 2008. DIE ZUKUNFT IST JETZT Dieser Dokumentarfilm behandelt weniger ein präzises Thema, sondern kreist um ein Thema herum: Das Leben in Havanna, ein diffuses Warten. Sieben Figuren teilen sich mit, ergänzen und widersprechen sich gegenseitig. Einige von ihnen haben den Wunsch, dass alles bleibt, wie es ist, andere hoffen, dass sich etwas ändert. Die Figuren sind auf die eine oder andere Art mit dem Malecòn, der Küste Havannas verbunden, wo die Stadt sich zum Horizont öffnet. Der Dokumentarfilm wurde zwischen 2006 und 2008 gedreht.